Saoirse Ronan gives an unforgettable performance as a young Sacramento woman from valley Catholic high school about to graduate and go on to college. The film directed and written by Greta Gerwig is nominated for best picture and screenplay at the Golden Globes next month. Lady Bird film has inventive and realistic dialogue with an engaging plot development. 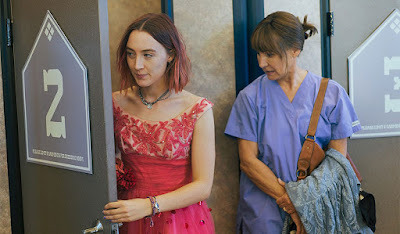 Credit must be given to the outstanding ensemble cast of the principle character Saoirse Ronan as Christine 'Lady Bird' McPherson, and Laurie Metcalf as Marion McPherson and Tracy Letts as Larry McPherson, Lady Bird’s parents. Both Ronan and Metcalf have received Golden Globe nominations for their acting roles. 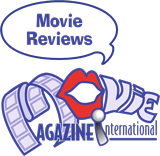 It is their relationship that provides a dramatic tension that gives the film its luster. 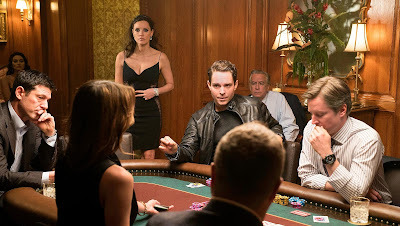 Based on the memoirs of by Molly Bloom and screenplay written by director Aaron Sorskin, Molly’s Game is one the best films of 2017 with two nominations for the Golden Globes next month as, best adapted screenplay, and best actress Jessica Chastain. Incidentally along with the report on Lady Bird set in California’s capital on this week's show - Chastain is from Sacramento California. Although she has recently been playing films as a woman in the midst of powerful men that can hold her own as in Zero Dark Thirty (2012) and Miss Sloan from last year, Molly’s Game is her most virtuous effort. In Italy, December 13 is the day St. Lucia is celebrated who was murdered in 304 AD for refusing to be married. Her death on the Julian calendar was closer to the Winter Solstice on the darkest day of the year, but the Nordic countries kept the date when the Gregorian calendar was later adopted and solstice fell on the 20th of December. Lucia has long been celebrated in Sweden with a tradition of selecting a woman with candles in her hair to lead a procession of maidens, star boys and gingerbread children who bring forth the light.